Without a doubt, young Ukrainian DJ/producer Omnia is one of the most exciting and fast-rising names to emerge from the progressive & trance scenes. Without a doubt, young Ukrainian DJ/producer Omnia is one of the most exciting and fast-rising names to emerge from the progressive & trance scenes this past 18 months. He recently leapt into the Top 50 in the prestigious DJ Magazine Top 100 DJs poll, coming in at #48. Having already made waves as a standout, festival-rocking DJ in his homeland in recent years, Omnia has recently transformed himself into a breakout and in-demand producer on a global scale, after dropping a devastating sequence of releases that has included several Beatport #1s. As with the rise of Arty before him, Omnia has picked-up the baton to lead the Eastern European EDM takeover in 2013, with notable highlights in a packed DJ schedule including festivals such as Global Gathering UK & Ukraine, Ultra Argentina, A State Of Trance 600 Holland, Trancefusion Czech Republic, Summadayze Australia as well as global club brands such as Ministry Of Sound, Zouk, Papaya, Privilege & Eden Ibiza, Ageha and Ellui. Omnia’s imagination was first captured by dance music sounds when he was a young boy in the late 90s and early 2000s. By his late teens, Omnia had started to experiment with music production with a particular love of trance, but with influences drawn from the many genres that had been his passion for over a decade. Self-taught in the studio, Omnia’s sound has a distinctive edge and a style that refuses to be pigeon-holed. His productions started to gain international recognition in 2011, when Armin van Buuren and Markus Schulz and other top jocks started supporting his early releases, which included a remix of Arty & Mat Zo ‘Rebound’. While 2011 was an exciting year for Omnia musically, not even he could have anticipated the massive breakthrough year he’d have in 2012. The catalyst for this was Omnia & Ira ‘The Fusion’, which went on to be one of the biggest tracks of the year across all dance genres, hitting #1 in the Trance chart in April and remaining in the Top 50 positions for over six months. He went on to repeat chart success time and time again, raising the bar of his studio output to deliver a run of massive singles and remixes. ‘Halo’ feat. Melissa Loretta was awarded ‘Future Favourite’ by Armin on ASOT, and further chart-topping singles followed with ‘Infina’ and ‘Hearts Connected’ feat. Cathy Burton, plus remixes of similar stature provided for Cosmic Gate feat. Emma Hewitt ‘Calm Down’ and Ashley Wallbridge feat. Audrey Gallagher ‘Bang The Drum’. Each release left the EDM community spellbound and further fueled demand for the distinctive Omnia sound. 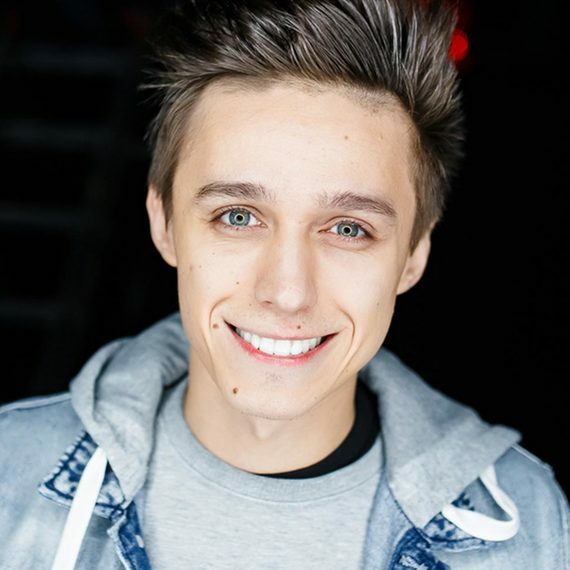 Moving into 2013, Omnia maintained his momentum on the production front to ensure his name was pushed to the top of DJ, fan, and record label wish-lists the world over. Standout releases included Beatport #1 singles ‘The Light’ and ‘Immersion’, a remix of Ronski Speed feat. Lucy Saunders ‘Rise Again’, and ‘Bones’ feat. Everything By Electricity which set a new benchmark for future Omnia singles to be measured by. For DJ bookings, press enquiries and further information on Omnia please contact Simon Eve at Integrity Artist Management.